If you drive a car then you must be having an idea that the car brakes have a limitation. After a certain amount of time, it might not work in the same manner as it did initially. So, if you want to avoid any accidents that may occur due to issues with the brake, you must get them repaired if you notice any irregularity with its functioning. The sooner you start with the repair the safer you will be. How Would You Understand That Your Brake Needs Repair? There are several symptoms that will make you understand that the brakes need a repair. There might be a problem pulling a brake to one side. Mushy and spongy brake pedals can be an indication. If you hear loud grinding noises then also you may opt for a repairing service. Again, if the brake pads become worn out they will require a replacement almost immediately. 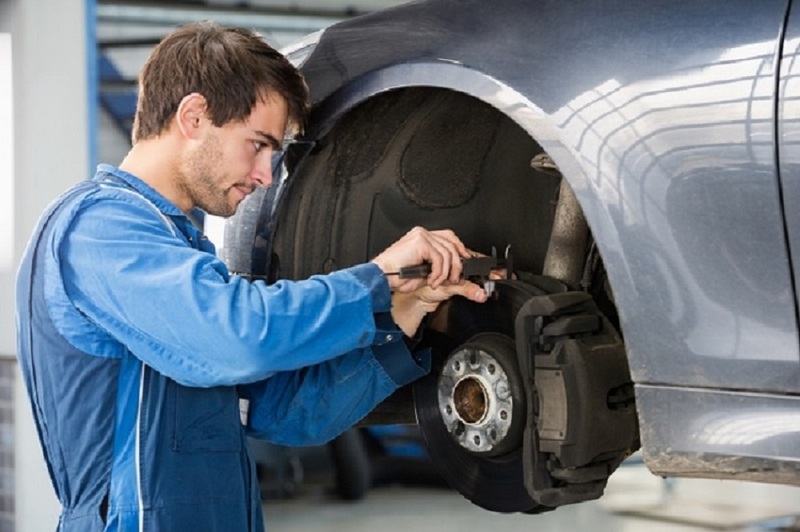 If you see that the brakes you have in your car are not working properly you should find a reputed auto repair service or an experienced technician. Search Over the Internet: If you are internet savvy, you can quickly start with this venture. You just have to type the desired keyword and you will be amazed to get assayed with hundreds of search results. You can simply type “auto repair services near me” in the search bar for getting access to the best repair professional in your local stretch. You will find a list of companies appears on the screen. They will give you the idea which brake repairs companies are near you. Check the Experience: Check with the experience of the professional you are planning to hire. Just find out the experience of the concerned company in years. Undoubtedly, more the experience, better will be their brake repair services. This will also make sure that your car is in safe hands. You should also verify the qualification of the professionals. Having a technical skill in the repairing field will ensure their expertise. Check The Reputation: One way to check the reputation of the service provider is to check their reviews. Google consists of a review section where the existing and ex-clients of the service providers can write about their experience with the professional. Go through them carefully. This will help to narrow down your search. Call Them Individually: When you have prepared a list of companies that offers brake repairs service, you can call them one by one to find out the details. You may ask them what other services they offer, if they provide guarantee on their services so that if the problem reappears, they can get back to them and get the job done without paying more. Find the Cost: The cost of the company is another determining factor for you. Knowing the cost will help you in your decision. You can pick the companies that suits your budget. Close the Deal: After checking all the details of the company, you can choose the company that fits your brake repairs requirement in every way. You can then finalize the deal with them and get your car brakes repaired by them. If the brakes are not in the right condition they will not give a halt to the vehicle on pressing. Thus, getting brake repairs will keep you safe on the roads. Experts say that brakes need to be checked regularly. An inspection carried on twice or once a year can help to find out the condition of the brakes. If you do not become aware at the right time, it will cost you more in the long run.